Karakia (Māori prayers/blessings) were given before sunrise to the stone columns by Ngati Paoa kaumatua, Kingi Rahipere. He named the sculpture Kaitiaki (guardian). 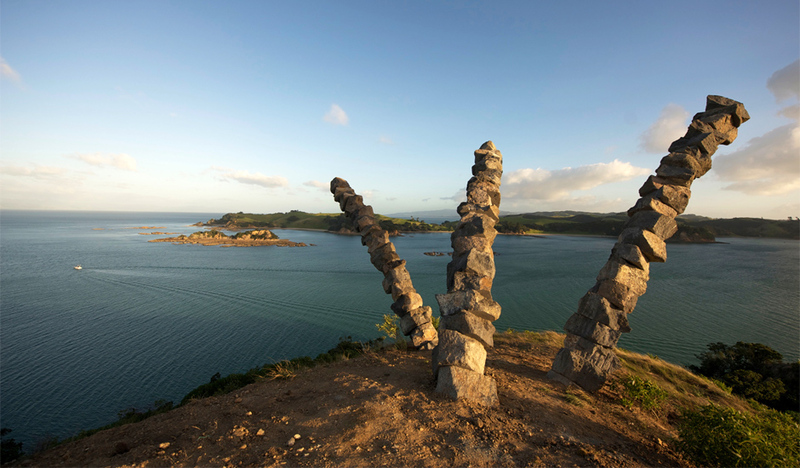 Inspired by wind bent branches of a nearby pohutukawa tree the sculpture celebrates the life of an old identity who had lifelong connections with the island and the Hauraki Gulf. His son has recently transformed the island into a wild life sanctuary to which the public are freely invited.